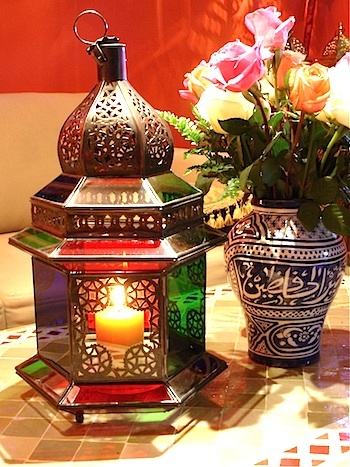 A classic and elegant small table lantern is available in two metal finishes. 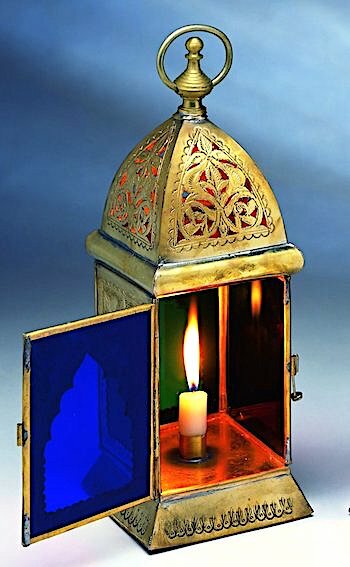 The antique brass version has panes of embossed Moroccan glass in light blue, gold, light green and lilac/pink. 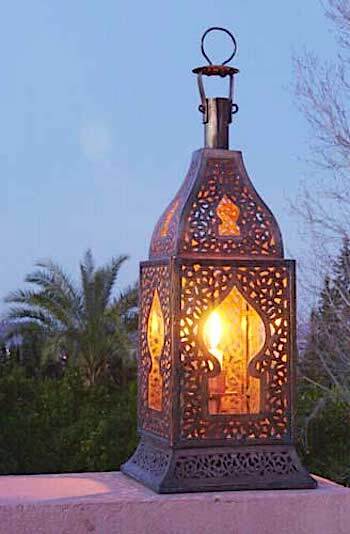 Produced by finest craftsmen, this lantern has great presence and a quiet elegance with its web of chiselled and overcarved antique brass metalwork enclosing clear glass panes. This is a lantern of the highest quality. Delicately carved and sculpted nickel silver panels alternate with panes of Ruby, Emerald, Amber and Cobalt Royal Glass around the eight sides. 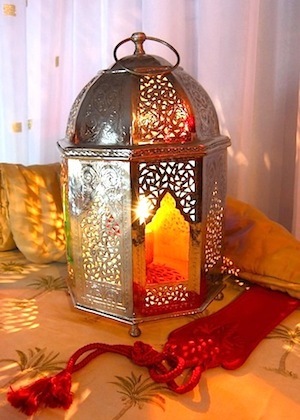 The base of the lantern is clear glass.